Geninne's Art Blog: Giveaway Winner! 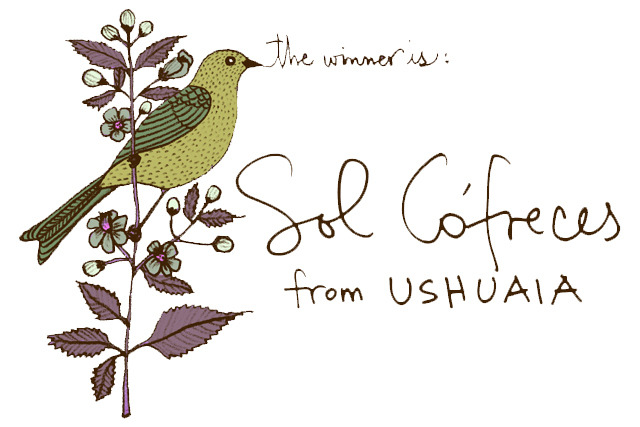 Congratulations to Sol Cófreces from Ushuaia, Argentina for winning the giveaway! How exciting that my birdies are going to fly all the way south to Tierra del Fuego! Thank you so much to everyone for participating and for your very kind words.